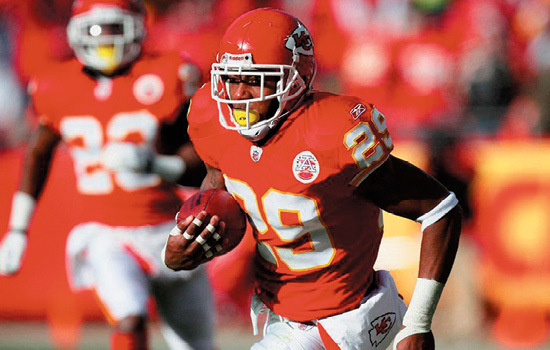 Eric Berry has racked up accolades from the very beginning of his football career at Creekside High School in Fairburn, Georgia, throughout his years at the University of Tennessee, and now as a star safety for the Kansas City Chiefs. But an award that recognizes Berry's grit and determination both on and off the football field came in February when he was named the NFL's Comeback Player of the Year. Within the span of a year, Berry was diagnosed and treated for cancer, and then rejoined his team at summer training camp. By the second game of the season, Berry was once again a starter, and he finished the season selected to his third Pro Bowl. 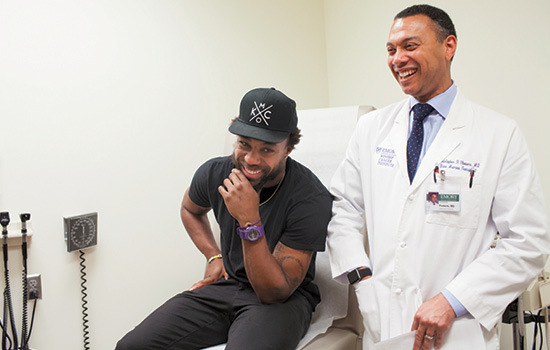 When the diagnosis of Hodgkin lymphoma was made in December of 2014, Berry was back home with his family in Georgia. He came to Winship Cancer Institute for treatment and, under the care of lymphoma expert Christopher Flowers, underwent an aggressive chemotherapy regimen lasting into the spring. Berry's determination and ability to stay in shape throughout treatment were extraordinary. "This chemotherapy regimen is one where typically patients will be fatigued and have difficulty performing many of their usual activities in a regular daily desk job. It is very impressive that Eric was able to continue to exercise throughout his therapy and maintain a high level of physical activity," said Flowers. The Winship nurses who cared for Berry were impressed with his attitude. "Eric came to each treatment with a will and determination to conquer cancer. Towards the end of treatment, we started a countdown, and he would dance with joy knowing that he was getting close to completion," said nurse Stephanie Jones. 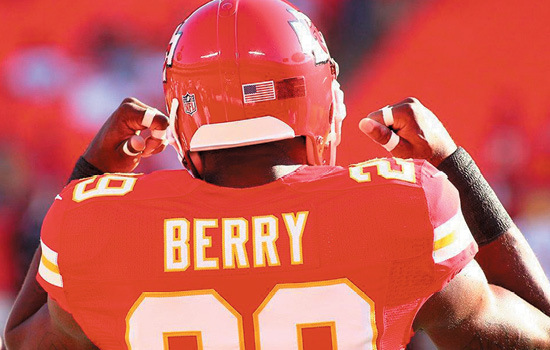 Speaking on his first day back with the Chiefs on July 29th, Berry said, "The two things I could control were my attitude and my effort. I just tried to go out, wake up every day and try to build off whatever I did the day before. In that situation, anybody going through something like that, the only thing you can do is take it day by day." Berry says having the love and support of his family throughout treatment was a crucial part of his ability to stay positive. He's thanked his mom and dad repeatedly for being by his side throughout. "When I lost my hair, Pops was right there. He shaved his head with me just so I wouldn’t be by myself." 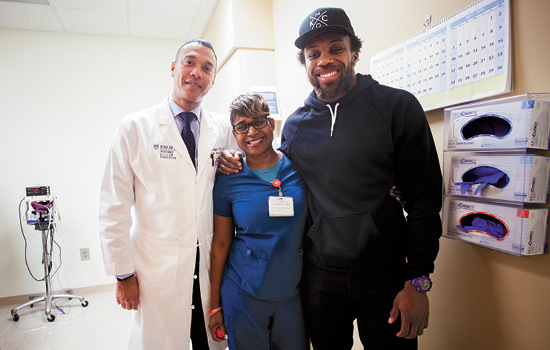 While his football career continues to surge forward, Eric Berry hasn't forgotten what it’s like to be a patient. On a recent return trip to Winship for a checkup (and a happy reunion with his health care team), Berry also took time to visit two young patients currently battling cancer.